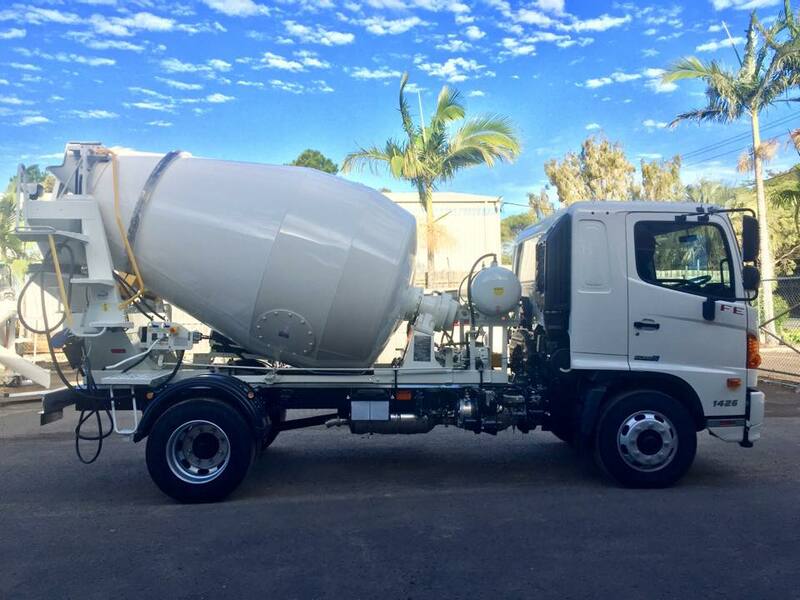 .IMPORT MACHINERY AND EQUIPMENT have the agency for Kyokuto to supply a range of machinery including Mini Mixers, Large Agitators, Tilt Trays, Concrete Pumps, Tail Lifts etc. Our company has over 25 years experience of importing reliable, quality machinery, along with outstanding service. IMAEA offers hire purchase and lease finance whether for complete units or any equipment we supply for an existing vehicle. On all of our range of machinery there is a guaranteed 12 Month Manufacturers Warranty. There is no hard sell, we believe in simply placing all the relevant information in your hands and standing by our product, our service and our price. The decision then takes care of itself. IMAEA's managers, Dave and Paul, both diesel mechanics, have worked around the world in a multitude of industries - from transport to engineering - and have decades of combined experience between them. Managing director Dave has been dealing with product from Japan for the last 25 years and is well versed in the Japanese market and dealing with the differences in business culture. IMAEA have the agency to import Kyokuto machinery into Australia. Kyokuto has over sixty years of manufacturing in Japan and is one of the world's largest manufacturers of concrete boom trucks, concrete agitators, truck tipper bodies, tilt tray recovery bodies, tail lifts, refuse trucks and complete environmental waste crushers.The Japanese company has grown to be a market leader due to its commitment to quality, innovative products and customer satisfaction. 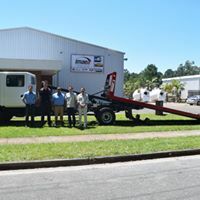 This enables IMAEA in Australia to offer a lineup of products for specific applications in order to realise equipment improvements and significant workload savings in the front line of construction and transportation. Kyokuto Kaihatsu has constructed well equipped production bases throughout Japan and established production systems that are closely tied to customers and communities in order to efficiently produce a broad spectrum of products and to promptly and attentively respond to the diverse needs of the customers. "High Quality," "High Technologies," and "High Reliability" are keywords of Kyokuto Kaihatsu's plan to developing products for international markets. The company plans on becoming a truly global company by offering special purpose vehicles not only from our production bases in Japan but also from overseas bases to meet the needs of various countries in the world. 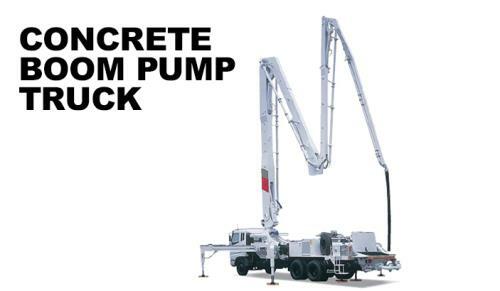 Concrete pump trucks are used at a construction site to effectively pump ready mixed concrete through a pipe and pour it into the formwork; they save labor and reduce work time. We offer piston type concrete pump trucks with the largest pumping capacity among the models available that are designed to be used in the construction of high-rise buildings and large scale construction work, as well as economical squeeze type concrete pump trucks. Customers can choose from a wide selection of models, depending on the construction site and the scale of work. 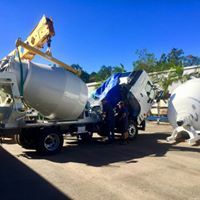 Concrete mixer trucks transport ready-mixed concrete while maintaining its quality by turning a drum with a spiral blade attached inside to agitate the concrete. 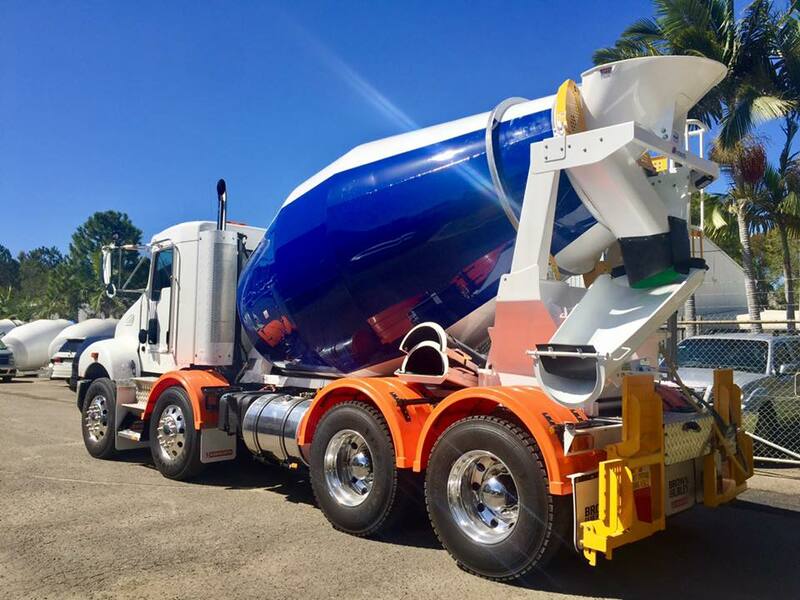 Our concrete mixer trucks have both high agitating/discharging capacities and durability; an extensive lineup is available, ranging from 6 to 9 cubic metre load capacity drums (Drum capacity 8.9 cubic metre to 14.8 cubic metre capacity). 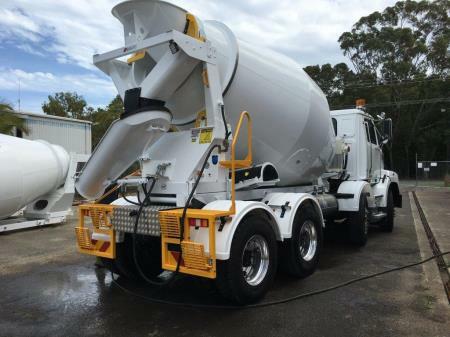 There are two usage specs for concrete mixers - agitating (A) and dry mixing (W). 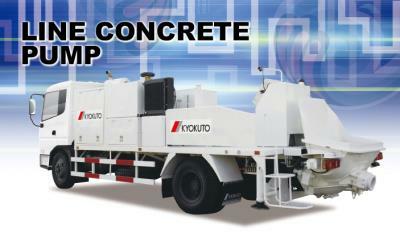 With "Agitating" usage the customer uses the concrete mixer just for transportation of fresh concrete. 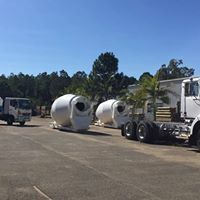 The other is "Dry mixing" usage that the customer uses the mixer for making fresh concrete in the mixer drum after loading the sand, aggregate, cement and water into the mixer drum. Hence it follows that 'W' spec trucks have wider rear openings than 'A' spec trucks, which also means a lesser capacity. Email us to make an enquiry. 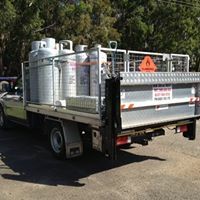 Tailgate lifters are attached to the back of the truck's body to facilitate loading and unloading of heavy cargo to the truck. 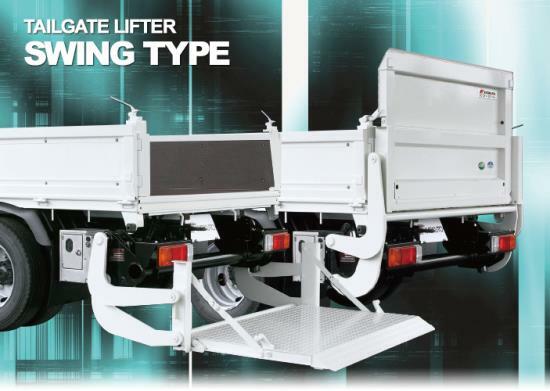 Tailgate lifts up/down vertically, and Swing type lifts up/towards or down/away from truck. 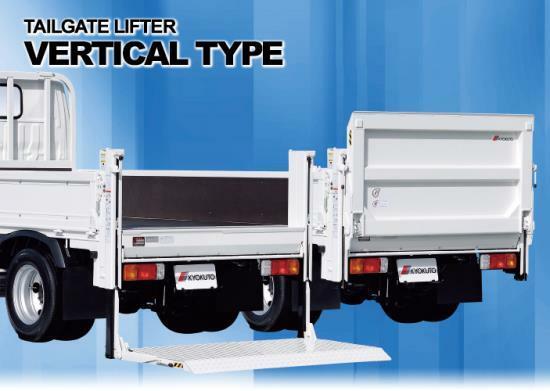 Kyokuto 300kg Vertical Tailgate Lifts installed on tradie utes. 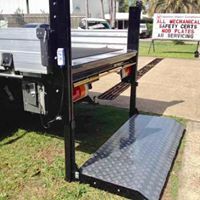 Our Tilt Tray Flat Top Zero trucks allow loading and unloading of a car onto the body with flat condition to ensure safety. 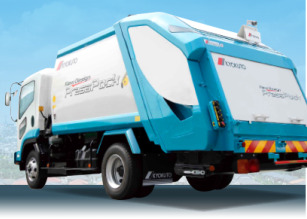 They can be used in various working environments such as a flat ground to a narrow space. The inclination angle of the body is adjustable between the 12 degrees tilt to full flat (0.9 degrees) on the ground. Contact us for more information on (07) 5491 5480 or visit our website. 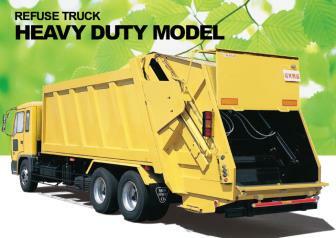 Refuse trucks collect refuse from households and offices. The press type is suitable for collecting noncombustible waste and large waste, while the rotary type is for collecting household waste. 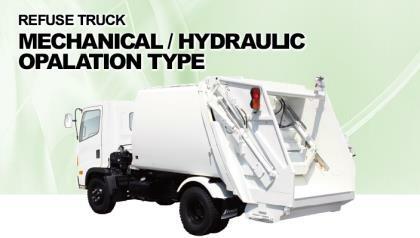 Also included in our lineup are the electric refuse truck and the refuse truck with measuring device. 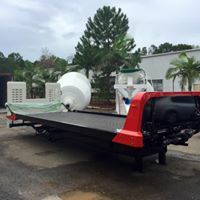 Detachable body trucks can efficiently transport collected materials by changing their container according to the characteristics of the load, such as the materials collected from housing complexes, buildings, and industrial materials. Detachable body trucks use our original technologies such as the hook support to assist the safe and efficient operation. We also offer a wide variety of containers specific to each application. 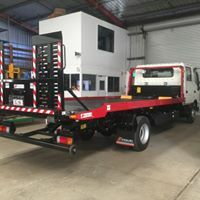 IMAEA offers hire purchase and lease finance whether for complete units or any equipment we supply for an existing vehicle.